The concept of pay for performance for public school teachers is growing in popularity and use, and has resurged to once again occupy a central role in education policy. 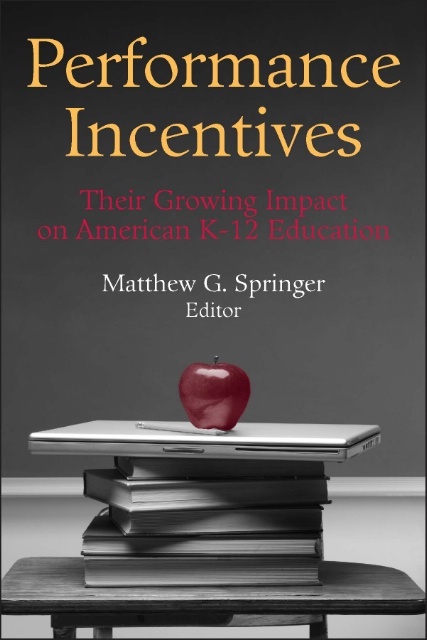 Performance Incentives: Their Growing Impact on American K-12 Education offers the most up-to-date and complete analysis of this promising—yet still controversial—policy innovation. Studying the overall impact on student achievement. Select contributors include Paul Glewwe, Dan Goldhaber, Michael Kremer, J.R. Lockwood, Daniel F. McCaffrey, Derek Neal, Michael Podgursky, Richard Rothstein, James E. Ryan, William Sanders, Lori L. Taylor, Jacob L. Vigdor, Martin R. West, and Marcus A. Winters. 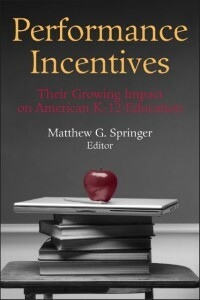 Performance Incentives is published by Brookings Institution Press. To order a copy, please click here or call 800.537.5487 or 410.516.6956. Also available at your local bookstore.